"It's funny because I work with so many talented people. Everybody from Randy Orton, Dolph Ziggler and Jinder Mahal. Mahal has blown me away this year. He actually started his training with my family in 'The Dungeon' the same time I did. To watch him succeed is really cool. For me, the person who I love to watch is Cesaro. Whenever he's the ring, cool stuff happens. Can you think of anyone other than myself, I got my teeth knocked out last October and finished the match. But Cesaro, I watched last week his teeth get shoved up into his gums and he doesn't miss a beat. He's just so good. Cesaro is just fun to watch. He and Sheamus formed an awesome tag team and have just grown. Whenever they are on I don't want to miss what they are doing." 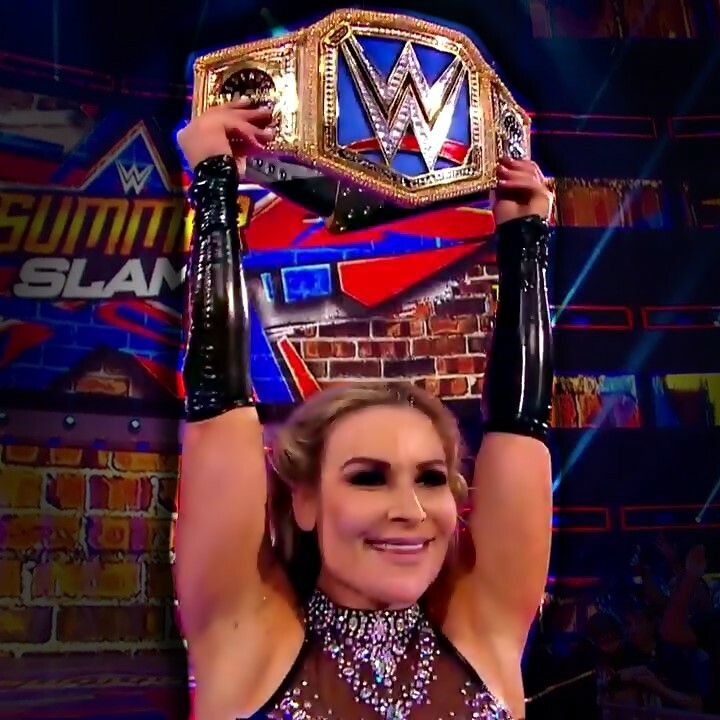 "I think about all of the incredible women I've competed against and I would put Charlotte Flair on top of the list of my favorite opponents. At the same time, the tables have turned. In the past, Charlotte was always the 'bad guy' facing me and was always the champion. Now she's turned over a new leaf and the tables have turned. I'm the champion. It's my house. It's going to be interesting to see her prove to herself and to the entire WWE universe that she can hang with me. There's probably no other women in this industry I respect more than Charlotte, but she's going to have to show me why she's fit to be champion." "Charlotte is not taking my SmackDown Live Women's Championship and neither is Carmella. If Carmella even gets close to me, I promise you I'll be putting her and James Ellsworth in the sharpshooter at the same time."